WASHINGTON (Reuters) - The number of Americans filing new claims for unemployment benefits fell last week to the lowest level in nearly a month, a hopeful sign for the labor market, while holiday retail sales rose in November and December. Initial claims for state unemployment benefits decreased 42,000 to a seasonally adjusted 338,000, the Labor Department said on Thursday. While the holiday season has made recent claims data so volatile it has been difficult to interpret, Thursday's report showed claims continue in a range that supports expectations for faster economic growth next year. "With labor markets on the mend and consumer confidence on the rise, we look for broader economic improvement to continue pushing claims (lower)," said Gennadiy Goldberg, an analyst at TD Securities in New York. New claims have trended higher since September. Economists, however, say the level of claims is still consistent with job growth, and other labor market indicators have pointed to a strengthening labor market. The four-week moving average for new claims, which irons out week-to-week volatility, increased 4,250 to 348,000. "The underlying trend remains favorable," said Ryan Sweet, an economist at Moody's Analytics in West Chester, Pennsylvania. "We will be able to muster stronger job growth in 2014." The claims figures appeared to have little impact on U.S. stock prices and government bond yields, which both rose in thin trading. Stronger consumer spending appeared to push the U.S. economy to accelerate in the second half of the year and most economists expect the momentum will carry over into 2014. The holiday season has also shown positive signs, with sales growing from a year earlier as retailers used deeper discounts and promotions to attract customers, according to data from MasterCard Advisors. Citing an improving labor market, the Federal Reserve earlier this month announced it would reduce its monthly $85 billion bond buying program by $10 billion starting in January. Payrolls increased solidly in October and November. The unemployment rate dropped to a five-year low of 7.0 percent in November. A Labor Department analyst said no states had submitted partial or estimated date. But he noted that claims were still in a period of volatility related to the holidays. The volatility is caused by the difficulty inherent in adjusting weekly data for seasonal factors like retailers and schools adjusting the sizes of their staff for the winter season. Claims for the prior week were revised to show 1,000 more applications received than previously reported. 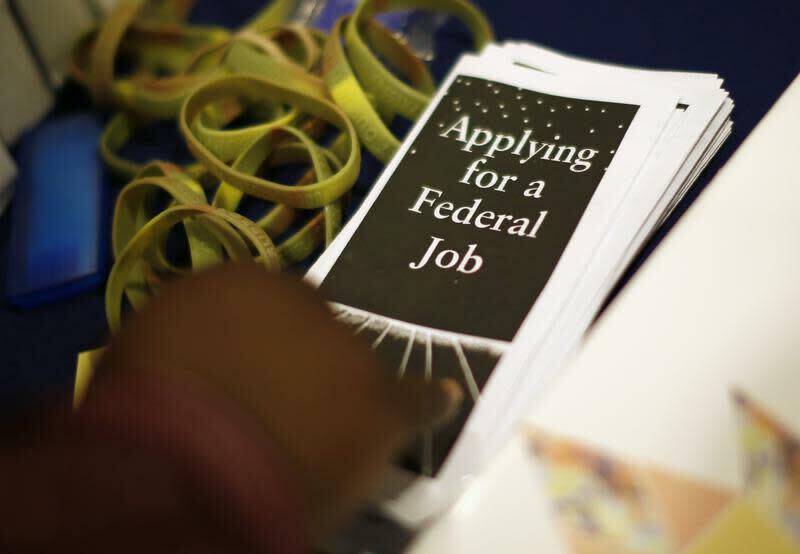 Economists polled by Reuters had expected first-time applications to fall to 345,000 last week. The claims report showed the number of people still receiving benefits under regular state programs after an initial week of aid rose 46,000 to 2.923 million in the week ended December 14.